Bose has announced that a refreshed model of its popular QC35 headphones will now offer seamless voice access to Google Assistant and new settings to control ambient noise. “The QC35 is already the world’s most celebrated wireless headphone, and a survival tool for modern life,” said Brian Maguire, director, Bose on-the-go products. Bose say they worked with Google directly to ensure smooth integration between the headphone and the voice assistant. 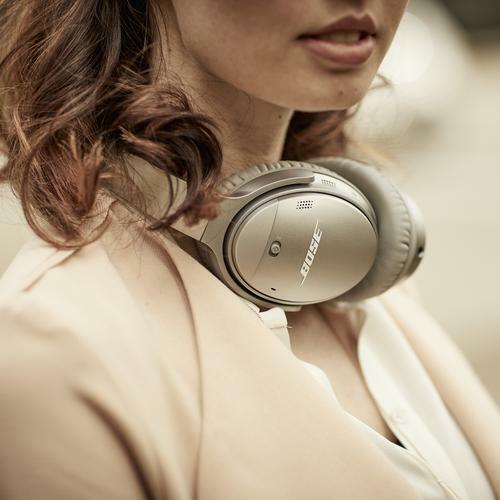 Like its predecessor, the QC35 II’s noise cancellation is fully activated when the headphone is on, but the Bose Connect App now lets you choose to keep it on (high), turn it down (low), or disable it completely (off). The Connect App also lets you change the Action Button’s functionality, so you can control the noise settings from the earcup when you want, and switch back to your Google Assistant when you want. The new QC35 II headphones are available in Australia and New Zealand from today, and their price remains at A$499.95 and NZ$579.95 respectively.